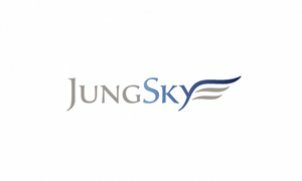 The airplane company Jung Sky is relatively small, but only in the formal sense. The company consists of likeminded persons who have, each in his segment, passed a long process of professional maturing. Expertise, knowledge and experience of every employee and associate enabled us to become a very respected airline company in a short period of time and to set new standards of quality in the segment of aviation that we deal with. In April, 2010, we obtained our first airplane, Cessna 172P Skyhawk, with which we primarily do panoramic flights. The beginning of the commercial flights was during the summer season of 2010 on Brač, where we executed panoramic flights over one of the world’s most beautiful coasts. We can boast with the fact that we received many praises from passengers for excellent organization, the kindness of our employees, the care of the passengers, the furnished and attractive visual identity of the airplane and the company in general. After the season was finished, we returned to Zagreb where we continued to perform panoramic flights, but we also started the process of expanding the company with the purchase of the jet plane Cessna 525 Citation Jet. In early September, the aircraft has passed the certification process aht the Agency of Civil Aviation of the Republic of Croatia (CCAA) in order to satisfy the high standards of security, quality and comfort which we want to offer to each of our passengers.